By promoting post-discharge medication adherence and more consistent follow-up appointments, CDS can help prevent deterioration that may contribute to avoidable readmissions. Accurate medical information is vital in ensuring optimal clinical care outcomes. From initial diagnosis through discharge and beyond, clinicians base their decisions on medical history reviews, physical examination, lab tests, imaging studies, and other ancillary tests. Modern technology, implemented in medical systems, can gather huge amounts of data on every patient. To optimize diagnostic and clinical decisions, clinicians must analyze the large amount of available medical information in light of their extensive knowledge regarding best treatment practices. The more accurate and complete the information, and the more data used, the greater the clinician’s ability to perform. There are, however, logistical limits to a physician’s ability to access and assimilate information. Even in the most skilled hands, highly relevant information may go undetected at the point of care. This can have serious implications for patient safety, with medical errors occurring despite clinicians’ best efforts. These implications extend beyond patient discharge to outpatient settings, where care gaps can lead to readmissions that might have been avoided. 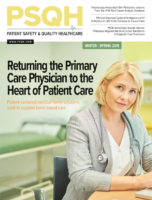 A provider organization’s ability to improve patient safety and reduce avoidable hospital readmissions—while avoiding costly associated penalties—can be greatly enhanced by improving information delivery at the point of care. This need has given rise to intelligent clinical decision support (CDS) platforms, which excel at alerting clinicians to clinical information not easily detected or retrieved by traditional means, along with timely reminders of best-practice clinical guidelines that may have been temporarily overlooked. Intelligent CDS platforms run on top of electronic medical record (EMR) systems, analyzing all information stored in the patient record, including details in free-text notes. Advanced CDS platforms also communicate with information systems outside the primary EMR, including those in ambulatory settings, labs, and radiology departments. To complete its information reach, CDS typically references a provider organization’s clinical guidelines. As clinicians document care delivery in the EMR, the CDS system analyzes documentation entries in real time relative to all available information. When this analysis determines additional information may be required for optimal decision-making, the CDS issues an alert to clinicians through the EMR for documentation of those needed data elements.